I have flown Lufthansa long haul in Business Class and have written flight reviews outlining my experience. 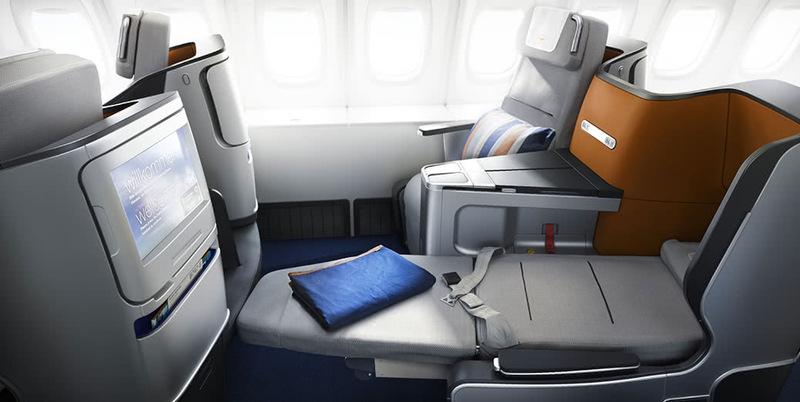 Lufthansa offers a very good Business Class and an even better First Class. If you fly out of Frankfurt Airport, you get access to a First-specific terminal. Below you will find my most recent flight reviews of Lufthansa in Business Class, you can draw your own conclusions. In this trip report I review my flight on Lufthansa B747-8 in Business Class from Buenos Aires to Frankfurt.This was the homeward bound flight at the end of an extensive tour of South America. We had flown around the continent… Read More. Lufthansa’s A350 planes come into circulation in Feb 2017. Based on previous business class reviews, I have outlined what you can expect in business class on this new plane below. I have already reviewed the cabins of a number of… Read More. I have also reviewed Lufthansa in First Class and it is also worth reading my tips on how to find cheap First or Business Class flight tickets to and from North America for a way to save money on your next First, Business and even Premium Economy flight booking travelling into or out of the US.